Before & After treatment for long history of sun exposure and clear sun damage. What Are the Symptoms of Sun Damage? What Are the Causes of Sun Damage? As a result, it is imperative to keep a strict regimen in terms of sun exposure throughout your life. Dr. Crippen recommends daily application of a UV-A and UV-B blocking sunscreen to help prevent the most common types of skin cancer. Can Sun Damage Spots Be Removed Permanently? Many types of sun damage spots can be removed permanently. Whether or not these spots can be easily removed depends on the type of spot, and how much time it has been given to develop. It is almost always preferable to treat sun damage as soon as it’s visible. Timely treatment will minimize the threat of permanent spots. How Long, or How Many Treatments Does It Take to Remove Spots of Sun Damage? Depending on the characteristics of the spot and the type of treatments that is used, most removals will take anywhere from one to a half-dozen sessions. While non-invasive, our laser treatments are powerful instruments that can only treat small surface area of skin at a time. Larger and darker spots of sun damage will require more treatments. Which of the Listed Treatments Is the Best Option for Sun Damage? Each of the treatments listed above may be considered for different cases of sun damage. Some are more intense than your treatment may require, while others are too gentle to remove the spot you want to target. Our doctor will choose the best treatment for your case during your consultation. What Is the Best Treatment for Sun Damaged Skin? The best treatment for UV photodamaged skin is Levulan photodynamic therapy. It not only reduces your risk for skin cancer, but provides excellent cosmetic improvements in the treated area. 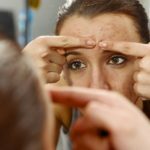 What Is the Best Treatment for Brown Sun Spots? A few treatments might be good options, including IPL light based therapy or Q-Switched laser therapy. 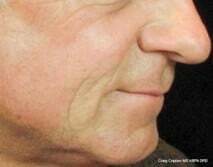 It all depends on the area treated and the appearance of the lesions. Dr. Crippen can give you an idea of the best treatment during your consultation. That is a good question. Yes and no. 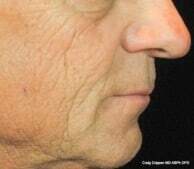 Sun damage permanently denatures collagen and elastin over time but we can improve both of those with laser treatments. What Is the Most Efficient Way to Improve My Sun Damaged Skin? There are many ways to describe “sun damaged skin” but there are usually always some effective options for your particular situation. Some patients have lines & wrinkles, some patients have brown spots and some patients have red spots. There are a few options including Levulan PDT and Fractional CO2 laser therapy but it really depends on the particular patients case. How Can I Reverse the Effects of 5 Years of Tanning? If your skin looks fairly normal the only treatment recommendation is avoiding tanning and excessive sun exposure and possibly a few Levulan PDT treatments to reduce the number of abnormal skin cells. Is It Possible for Someone at Age 24 to Repair All of the Sun Damage? 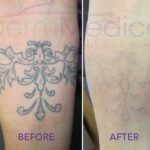 At this time, it is not possible to removal ALL sun damage as there is no way to quantify how much damage there is before and after treatment. The key going forward is to monitor your skin closely for changes and use sun protection measures daily. What is the Most Effective, Cost Effective, and Safest Way to Remove Sunspots? The most common way to remove sun spots (lentigos) on the skin is by using lasers that treat melanin. Some of those treatments include IPL, Alexandrite and q-switched or picosecond lasers. How to Treat Sun Damaged Skin and Still Enjoy the Sun? You can have sun damaged skin and have it treated but you can’t go out in the sun right after treatment in most cases. The key is to have the skin treated, allow it to heal slowly over time and then be careful with future sun exposure. How to Restore Dull Skin from Sun Damage? The best treatment to refresh and rejuvenate the skin is our DermaPeel treatment. This uses fractional CO2 laser technology to gently remove skin and encourage new skin growth in the place of old sun damaged skin tissue.